Nigh on fifty years ago Warren Fahey set out to search for signposts to the Australian identity. It led him to collect, broadcast, perform and write about our folklore, especially songs, verse and stories that tell of our unique history. As one of Australia’s best-known cultural historians he is passionate about what he describes as the ‘curious side of history’. Songs and stories have been his chief ’signposts’ and his vast repertoire covers most aspects of Australian bush and city life. A regular on ABC radio, author of some 30 books and producer of countless recordings, he has been honoured with the Order of Australia, Don Bank’s Music Award, Prime Minister’s Centennial Award and, in 2015, the Australian Sound Recording Association’s Lifetime Achievement Award. He also has another life as a singer and actor. His recent production of ‘Dead Men Walking’ where he plays Banjo Paterson with Max Cullen’s Henry Lawson, has received national commendation and has celebrated over 100 shows. His current projects include writing the next play (Dead Men Laughing: Lennie Lower & Roy Rene), a series of themed recordings showcasing the National Sound Archive and a book on his ‘home turf’ — the precincts of Woolloomooloo, Potts Point, Elizabeth B ay, Kings Cross and Rushcutters Bay. Cultural historian Warren Fahey reveals the relevance of oral history, especially songs, in the 21st century, and why it is so important to preserve Australia’s folk song heritage for future generations. 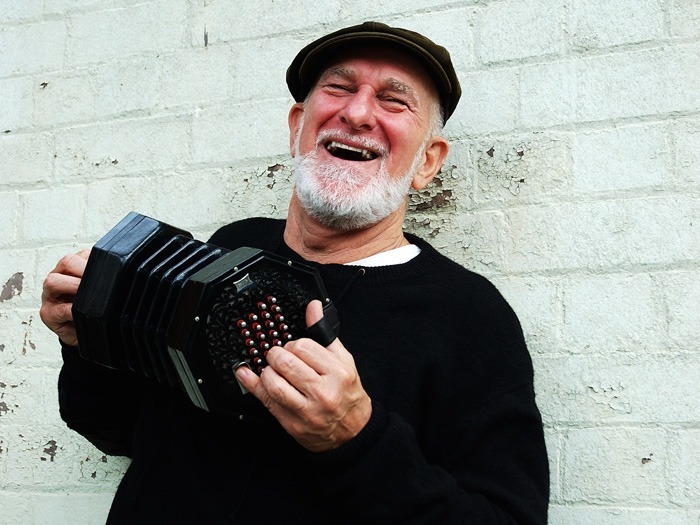 Drawing on his pioneering folk song collecting work, Warren will play some of his field recordings and sing some songs. Overall, Australia has been good at preserving its material heritage, but fairly lousy when it comes to non-material heritage like folklore. As a young country with a small population living on a large land mass, we need to continually remind ourselves of our history. Warren likes to say that it doesn’t matter if your family arrived in the First Fleet or on a boat last week — people came and continue to come to this country for its uniqueness, including its oft-mentioned ethos of a ‘fair go’. Folklore expresses community creativity, and allows us an insight into the past so we are better equipped to see the future. Warren will talk about using the digital age to preserve and popularise his ’signposts’.